The Battles of Columns are well known. Newspapers, magazines, and television news reports provide data about tragic atomic social science events. The modern Margaret Mead atomic nuclear family conflict ... expresses the mathematical-physics anger of the periodic atomoic table of solid elements ... that have atomic mass and an earthly weight in the gravity field. Solid elements are a component of the known BATTLE of Solids. The Battle of Solids military status report were broadcast VIA television show DEEP SPACE NINE ..... with the atomic physics agent identifiers for science students in the TV audience. Modern television uses the secret broadcast signal FORMAT .... TV math technology FORMAT. Thus the audience receives ....... Linear algbera tranformation T --> Vector space ..... that goes inside the symbolic matrices inside your head. The Battle of Columns of the periodic atomic table ....the elements of life and thought. The above table (the known elemnts at that time ) was used the Manhattan project in year 1943. Let's look at the above symbolic table ..... notice the TWO TOWERS ......the tallest columns in the atomic information table. Using year 2013 super-symmetry physics .... mirrors and parallels ...we see another version ...another atomic expression of the periodic atomic table of elements .... the expression of the ferrous oxide IRON atom in the format of the Manhattan skyscrapers ....... such as TWO TOWERS. Thus the invisible (to the human eye) Margaret Mead atomic nuclear family intellectual conflict ....... is indirectly visible thru some tragic EVENTS of the geography surface of EARTH .... such as Nature's ..... Manhattan Project ERROR report of Sept 11,2001.
year 1600 knowledge --> The World is a State and we are the players"
Year 2001 ---> The WORLD Trade Center.....is ...center Stage .....and we are the P.Layers (Processing layers). Did the newspaper reports of the event forget the Shakespeare FACTOR? the addition OSRD,S-11 --> OS =OSLO, Norway Research Development S-11 spells Sku11 .... and UTOE --> Unified Theory of Everything battle of children at UTOE Island with An --> Atomic Number agent An = Anders B. Periodic table of elements --> Battle of Columns .... Sept 11, 2001 Manhattan Project with a Margaret Mead atomic social law enforcement DEMO. In the modern periodic table, the elements are arranged accordingly with the increasing no. of atomic number (no. 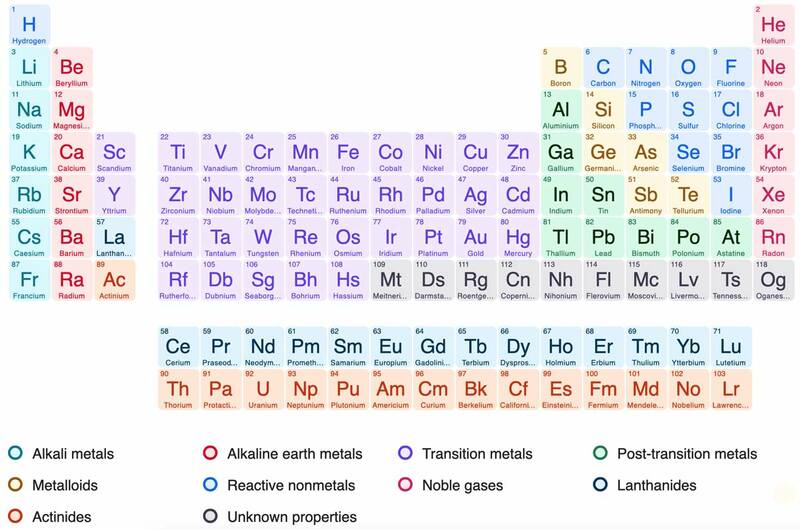 of protons) from first hydrogen to the 118th element.This periodic table reveals many properties of elements periodically.The basic periodical properties, that we can gain from this table are as follows. 1) Size of the atom. Thus we see a modern mystery and the CODE of silence ... and the incomplete explanations of tragic EVENTS.